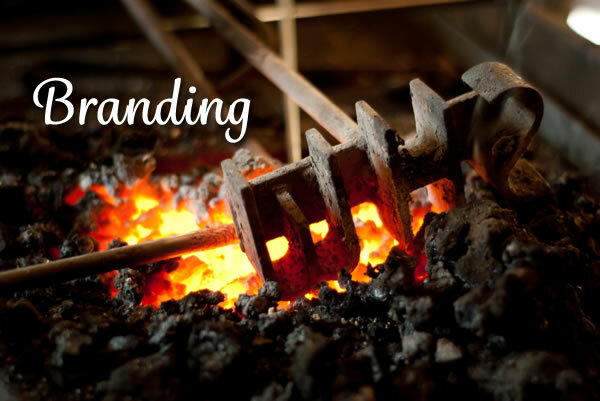 Branding is one of the most important components of any business. Not only does it set you apart from competitors, it lets customers know what they can expect from your products and services. Essentially, your brand is your pledge to clients. Your logo is the heart of your brand. Make sure you have a logo that is appealing and portrays the image you want. Your website and social media should all integrate your logo. In fact, your logo should be displayed everywhere. Strategic branding is what will separate you from competitors and allow you to charge more than others offering the same product or service. What is your company’s mission? What does your product or service have to offer that other companies do not? Surveys are an essential part of branding. Find out what clients already think of your company, and integrate into your branding the qualities that you want people to associate with your business. Your website should have a unique and appealing design that considers fonts, styles, color palettes, and browser tab/bookmark favicons in addition to the logo. The design of your social media channels should align with your website design. Establish a consistent voice in your website copy and social media channels. What tone do you want to convey? Conservative, fun, casual, or sophisticated? This should be reflected in all your content. A picture says a thousand words – and closes clients. Be sure to include plenty of photographs that reflect your originality and your unique approach. Fulfill the promise your brand conveys; otherwise customers will not return to you, nor will they refer their friends. Interact with potential clients. Invite conversation by asking questions. People love to give input, so use social media and your website to establish a communication line with clients. Once you have a reach, even if it is simply a question, answer it. Word of mouth is one of the most effective ways of promoting, and that comes from building friendly relationships one on one. Use your social media to survey. Find out what people think of your company and use that to create precision branding. Be thorough in telling customers “About Us”. You may not think much of your “About Us” page, but visitors do. This is where potential clients want to find out about your company and the services you offer, but it is also where accessibility is increased. Clients want to know who they will be working with and be able to reach them individually. It may be a good idea to provide employee bios (keep them short) that include interesting tidbits like hobbies or favorite activities. Showcase your best work. Use photographs, testimonials, and any big-name clients you’ve partnered with. See if you can incorporate clients’ logos somewhere on your site. Find out how you can win awards for your product or service, and create an “Awards and Recognition” page on your site. Include any other good works such as community service or green initiatives.